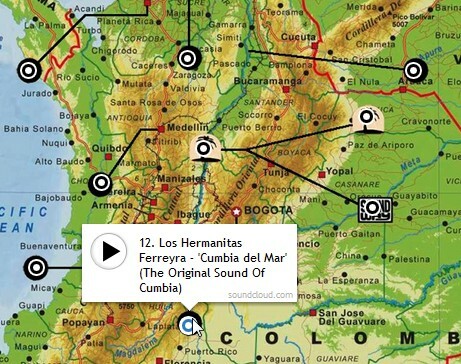 A musical map of cumbia sources around Colombia, from Soundway Records. It’s hard to listen to these sound snippets without starting to move my feet and hips, as a dancing clod. Colombia is my mother’s native country but I obviously inherited none of the rhythms! This entry was posted in music, web mapping. Bookmark the permalink.